Spend a self-determined and independent holiday in the Seaside Resorts and rent a home which will make your time out at the Baltic Sea the most beautiful time in the year. It doesn’t matter if it’s a holiday apartment in an old resort architecture villa with sea view and in the middle of the hustle and bustle of the resort, or if it’s a whole house in an idyllic village really close to the chic “Three”, it doesn’t matter if simple and comfortable or noble and luxurious – you can find here a proper place to stay for sure. Be our guest in our modern, comfortable **** vacation apartments, located in a quiet side street, close to woods and open meadows. In late summer, nature lovers can even hear the mating red deer stags calling! 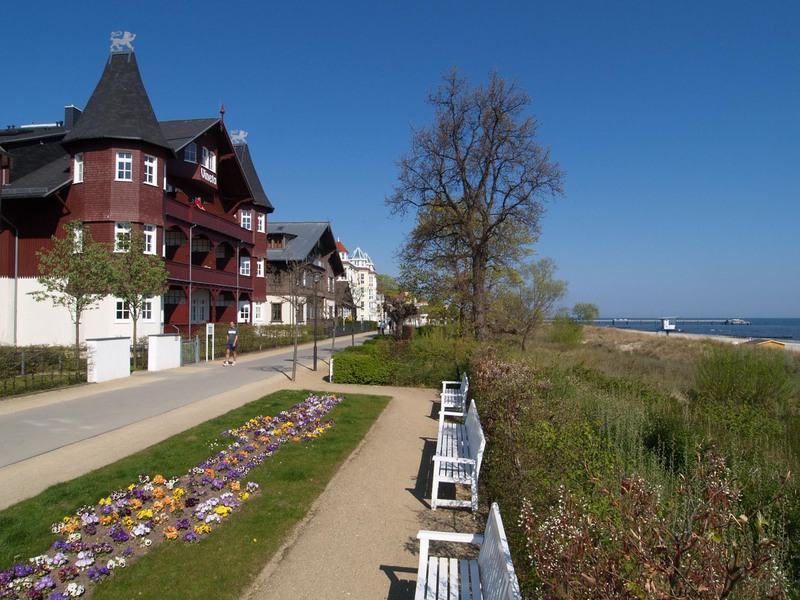 The white sands of the Baltic Sea beaches, the town centre and the Ostsee Therme spa & leisure complex are all within a few minutes’ walk. A corner shop and bakery are only a minute away. Our spacious grounds offer you parking places, outdoor seating and grill facilities.